In this essay the focus will be given on the case study which is based on the leadership, cultural and performance change issues in MEAT PACK. This is one of the family owned food processing company with headquarter in Australia. It has been seen that company has 27 years’ experience in the industry related to meat production and operation. The company also emphasizes on the processing plants in Queensland and New South Wales. The founder of the company is Mr. Derek Bison who is involved in the business of meat sector. In this paper, the discussion will be made on the questions which are related to the entire case study. It has been seen that it is necessary for the leader to focus on maintaining the culture so that it can be clear for the employees to meet the overall values of the organization. This will also ensure that employees should not be reminded again and again about the activities which they want to do. It has also been stated that if employee take into consideration the overall mission of the company then it can be easy to realize the values and goals of the company. Also in this case the employee will do what they want to do to manage the entire situation of the company. Also in this context there are different types of management styles which can help to realize the strategic goals of the company. But managers should emphasize on meeting the goals only because managers are the only one who motivates the employees to give their best towards the activities of the company. In relation to MEAT PACK, Bison will require to access that how to manage the employees and how they should be directed. For instance: it has been seen that employees can be motivated if proper supervision is given to the employees. These types of the employees are aligned towards the overall goals of the company. Also, there are employees who are not able to take correct decisions according to the situation, so these types of employees should be managed in a proper manner so that it can be easy to achieve goals. It has also been seen that there are managers who are involved with the employees in their activities and give feedback again and again. If these types of activities keeps on taking place then the employees will not be able to work in a free manner and also they will not be able to express the ideas that how company should meet the vision and mission. To implement the changes in culture and performance, it has been seen that company should need to emphasize on considering the new management. In the workplace the leadership takes place by creating the partnership and also by not criticizing it. In this context, the changes of the new leadership can help to consider the hand off approach. This kind of the leaders can be able to motivate the overall spirit of the employees towards the goals as leaders focus on allowing the hand off approach which will help the employee to achieve success (Choromides, 2018). For Bison, if hand off approach is taken into consideration then it will be related to managing the team without having any bypass to the overall line of authority. He should not interfere in the operations of the company at the time of strategic change. If this is done then it can be easy to focus on the change which is taking place. The level of productivity will also be maintained and the level of customer would emphasize on the strategic change (Alvesson and Sveningsson, 2015). There are areas on which it is important to focus on hand on approach which takes into consideration the direct reports which will help to identify the overall department of the workers who are not able to meet the targets. It can also be considered as the challenge for Bison as it has been stated that hand off approach can be difficult for the employees to develop in the slow manner. This can also take place when the hand off managers will not be able to consider their support at the right degree as for these employees it is necessary to focus on developing the skills. By considering the change management strategy, it will be necessary for Bison to focus on time bound actions as hand off approach can result in slow process from the employees even when it can be possible to achieve positive results. This is also just because the hand off manager will not remain distinct and will not focus on considering the change programs. Also in the end of the day the employee will be able to focus on the goals and even focus on creative approach. So, by analyzing this it has been recommended that Bison should emphasize on exercising both the style of leadership by considering the actual situation. Hand off style should also be considered as employees do not like that their managers always follow them at the time of managing the activities of the company and also it will make them nervous and less efficient towards the activities assigned to the employees. When they are nervous they will not be able to give their best towards the activities of the company. So, it is important to emphasize on the leadership styles so that it can be simple to manage the entire activities (Heifetz and Linsky, 2017). By emphasizing on the case study, it has been reported that Bison team members in senior leadership position can easily gain the insights by considering training and coaching offered by Bison. Also by putting stop on the overall exercises of coaching, the senior leadership employees should have continued to work on the strategies related to leadership. By introducing human synergistic circumflex to the companies, employees should have the chance to give rating to their performance. It has been seen that Behaviors can be classified into three colors. First color is red which stands for defensive and green stands passive and blue stands for constructive. In this context, the culture of the company was stated as red. The bison found that there are many people in the workplace who were defensive and also they relate themselves with the customers. In this context, the change of leadership campaigns was to ensure that they should change it to blue for the plans which are realized (Fairhurst and Connaughton, 2014). In this reference, there will be the requirement related to change of company’s structure in context to the horizontal companies with the front line employees and also with the senior leaders who are responsible for the overall performance of the employees. It has been investigated that there are many employees who are dedicated towards the work of the company. Also there are executives who realize the challenges that will help to close the gap between the talented and potential employees under their leadership. With the context to the Bison Company, it can be stated that there are many departments and employees who are willing to give their best from the top operation management. If the leader is able to transform these employees then they can be considered as the blue leaders and then the company will focus on the right direction to develop the overall leadership. Also it is not the intension of the employees to be defensive. The challenge is related to the lack of understanding of the changes that will be considered and it will also become as the leadership (Reiche, Harzing and Tenzer, 2018). There are some employees who will not be able to understand the change that was required to bring best out of them. Also the leaders are not able to consider the approach which is known as blue king of leadership that should be implemented by Bison. It has been seen that blue leadership should be good when the focus is given on creating the new markets for METAPACK and also it will help to convert the individuals into the new customers. The concept is essential in assisting the top management in the workplace and it also helps to realize the overall talent in the workplace that will help to save the cost of coaching (Giannakis, Harker and Baum, 2015). Also it has been seen that leadership is considered as the service that employees in the workplace will embrace or not. Every leader in the workplace should be able to focus on achieving the customer’s base and also the top management should focus on managing the performance. The employees in the department should also take help from the managers. It has been seen that when workers give value to the entire practice of leadership then they will focus on purchasing the kind of leadership. Also, it has been seen that Bison will focus on his employees acting with commitment instead of being the non-customers of the leadership. It has been analyzed that Bison also began to focus on the leadership and he stated that this concepts and also the coaching of leadership was developed between the senior employees. Also in this context the employees will not be able to work towards the non-customers and it can also enhance the market share for the company. It has been seen that blue leadership was considered as the important factor that will help to convert the employees who are disengaged. The blue leadership will also enable the employees to focus on the mission and vision of the company and it do not focus on getting the salary. It has been stated that blue leadership style will also focus on the change in the company strength related to leadership. By emphasizing on the case study, it has been seen that top management were able to consider the model related to Bison which vary form the traditional leadership and also it relates to the approach to development in many ways (Bolman and Deal, 2017). It can be stated that for top management, the influence of the change also emphasize on the acts and operations in the companies. There are many studies in which it has been stated that the values, qualities and characters that make the good leader and it also emphasize on proper coaching. Also there are various changes in qualities and characters which will help to enhance the overall performance. This can be related to the senior leaders who look back to coaching programs related to Bison and also they should not able to focus on the evidence related to the entire change. 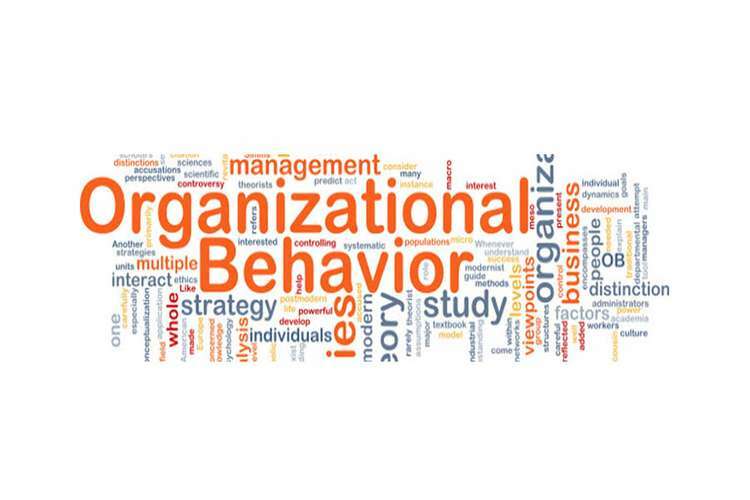 It is important to focus on the transforming the overall behavior of the organization. Also it is difficult to access the overall leaders in the company who are internalizing and embracing the leadership of the new kind and it can be easily given on the overall act and actions which is required to motivate the employees in the workplace towards the strategic goals. Also in the end, it has been seen that they will focus on measuring the overall difference. It is simple to consider the change in the behavior of the people and also in the operations of the company. It is difficult to focus on changing the values, qualities and other traits. So, it is related with the senior managers to focus on changing the values and qualities so that employees in the workplace can easily consider following the entire course related to guidance. It will also focus on considering the overall behavior of the employees by taking into consideration the values (Day et al., 2014). For MEAT PACK, it is important to consider the strategy related to innovation friendly organization structure so that it can be easy to become the leader of the market. It also requires considering the culture by focusing on the structure. Flat structure in the organization helps to meet the goals and also the word related to flat means misnormer. Also the employees do not shift their overall responsibility to the top management in the ladder of the company which helps to make the right decisions for the company. It has been seen that there are various leadership and management benefits of considering the flat structure. For MEAT PACK it has been seen that benefit is related to the structure itself. There are many flat structure companies but MEAT PACK does not have the management levels. This also varies from the overall tall structure which can be common with many companies. The control will also be considered by the managers who will report to the Bison directly. MEAT PACK, have many managers who are from different departments but they directly report to Bison. The management layer has been reduced and MEAT PACK will be able to get the overall structure of the company. The other advantage for MEAT PACK is related with communication. It has been seen that there is a level of communication between the management and the employees. This is just because of the top management who is democratic and also provides employees the approach related to innovation. In the tall structure it has been seen that communication can be faster and also effective. This is just because of the efforts of the employees which assist to consider the decisions and also it give chance for power struggle in the workplace. When focus is given on the overall process of decision making it has been seen that MEAT PACK is flexible and also adaptive in case of the tall structure. Also the overall flexibility states that decisions should be taken on the regular basis. This helps the employees to focus on the customers of the company. When emphasis is given on the tall companies it has been seen that staff members should consider the need of the approval form the managers who will then require taking approval from the directors. This is not related in the case of MEAT PACK as the employees have the power to make the decisions on a proper manner. The only reason behind it is related with the less layers of reporting in the structure of the company and also the decisions are made with proper mobility. When the focus is given on changing the performance, it has been seen that the flat structure at MEAT PACK consist of the qualified staff. Employees are also dedicated towards the activities and there are skilled groups which help to enhance the satisfaction level of the employees. Also it has been seen that MEAT PACK, achieve success by considering the flat structure which focuses on the variations about the overall structure of the office and operations. For instance: The company should focus on giving the discounts of purchasing the bulk of the meal but if one denies then they belong from the different departments. Also it can be seen that at the end of the strategic development the overall approach will move to the same organization so that growth can be maintained in the high competition level. 1. Alvesson, M. and Sveningsson, S., 2015. Changing organizational culture: Cultural change work in progress. Routledge. 2. Bolman, L.G. and Deal, T.E., 2017. Reframing organizations: Artistry, choice, and leadership. John Wiley & Sons. 3. Choromides, C., 2018. Leadership and Change Management: A Cross-Cultural Perspective. International Journal of Entrepreneurial Behavior & Research, 24(2), pp.575-578. 4. Day, D.V., Fleenor, J.W., Atwater, L.E., Sturm, R.E. and McKee, R.A., 2014. Advances in leader and leadership development: A review of 25 years of research and theory. The Leadership Quarterly, 25(1), pp.63-82. 5. Fairhurst, G.T. and Connaughton, S.L., 2014. Leadership: A communicative perspective. Leadership, 10(1), pp.7-35. 6. Giannakis, D., Harker, M.J. and Baum, T., 2015. Human resource management, services and relationship marketing: the potential for cross-fertilisation. Journal of Strategic Marketing, 23(6), pp.526-542. 7. Heifetz, R. and Linsky, M., 2017. Leadership on the Line, With a New Preface: Staying Alive Through the Dangers of Change. Harvard Business Press.